Two handbag titans are tying the corporate knot: Coach is shelling out $2.4 billion to purchase Kate Spade, as part of an ongoing effort to make itself more luxe. Fancy, but accessibly fancy. That’s according to the Associated Press. Specifically, the company is paying $18.50 per share. Coach CEO Victor Luis credited Kate Spade’s “strong awareness among consumers, especially millennials” in the announcement. Millennials! Millennials! Millennials! Every brand wants to know how to get some of that limited millennial disposable income. The long-anticipated deal brings a high-profile brand to Coach and may help remedy the handbag industry’s broader woes. The companies have struggled to get customers to pay full price, and a reliance on the beleaguered department-store channel has hurt sales. 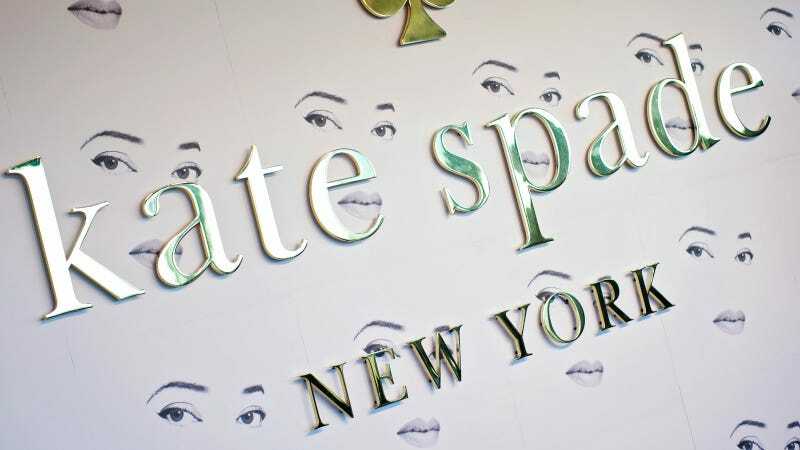 That’s led Coach and other to focus more on its own specialty stores, an area where it hopes to use Kate Spade to fuel growth. The best place to purchase Coach remains antique malls.